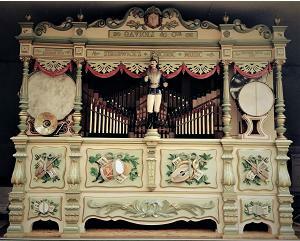 For more than 45 years the family run business of Dean Organ Builders have been selling all manner of mechanical musical instruments and associated equipment. 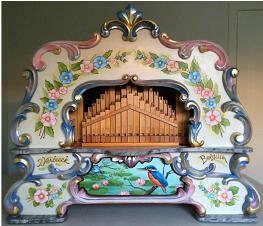 For customers wishing to sell a mechanical musical instrument, we offer a sole agency selling service. Should you wish to sell a mechanical musical instrument, you can benefit from our vast experience in the mechanical musical instrument trade by using our sole agency selling service. When you use our services we charge a single commission charge proportional to the sale price. We deal with the advertising, enquiries and prospective purchasers. We can deal with as much of the business side of the transaction as you wish, from a complete or part service depending on your requirement, thus providing a smooth transaction from start to finish. Why not talk to us in confidence for more details of our services and current rates. 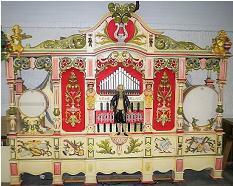 Should you have a very specific requirement for a mechanical musical instrument, we can also try to find a suitable item. During our many years in the business we have gained many contacts not only in the UK but worldwide, both collectors and dealers. These contacts and our extensive knowledge of the current market enable us to very often find instruments and broker a deal on your behalf. This service is similar to our selling service, should we conclude a successful purchase on your instruction, we charge a pre arranged single commission fee proportional to the sale price. You can sell with our service or buy from us or via us, in confidence knowing that we are a well established company with many years experience in the mechanical organ business, having satisfied customers both private and commercial in the United Kingdom and Worldwide. We have an excellent knowledge of the current mechanical organ market, and our website and social media pages are well visited enabling us to provide a package of advertising options using our own resources and through our monthly advertising in various specialist magazines. Should you require more detailed information on our services, please do not hesitate to contact us via telephone or e mail. Why not take a look at the various instruments we currently have available just click below for our latest sales and wants. Should you require further detailed information on any specific sale item please do not hesitate to contact us by telephone or e mail. However if you don't find what you are looking for, why not let us know your requirements because not all of the instruments we may have for sale are posted on our website, sometimes this will be because they have not been uploaded yet or that our client has requested a low key sale for privacy reasons. 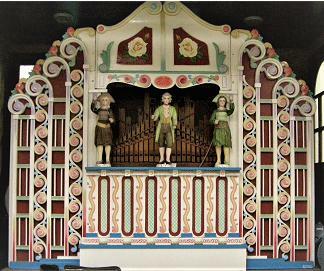 Contacting us with your mechanical musical requirements is always best, enabling us to offer confidential advice tailored to you.